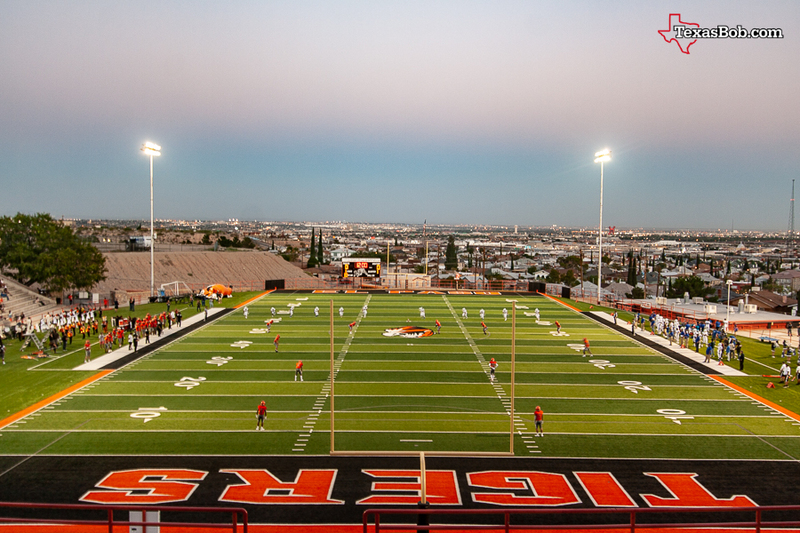 R. R. Jones Stadium was built in 1916 and was the site of the very first Sun Bowl and is home to El Paso High School team. 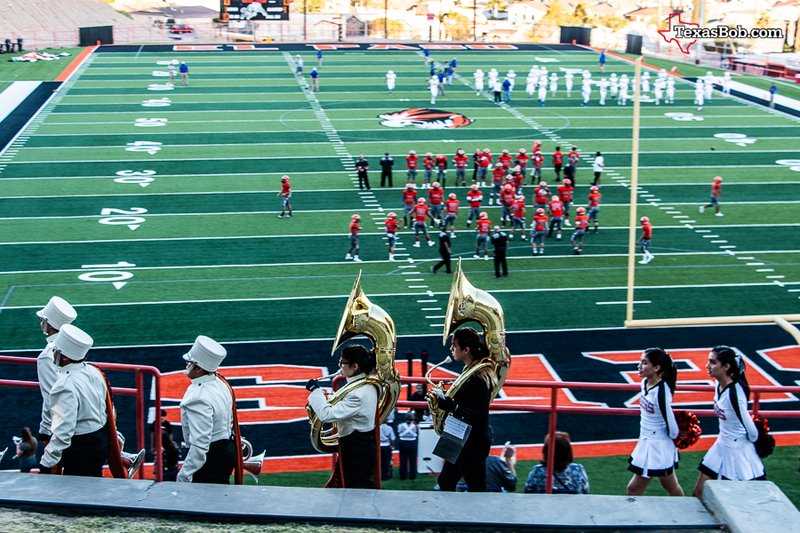 It always offers fantastic views of downtown El Paso from the stadium seats. General John J. 'Black Jack' Pershing once rode his horse down the field in Jones Stadium to help celebrate The United States entry into World War I.
Jones was the first major concrete stadium built in the country, opening in 1916 with a seating capacity of 12,000. 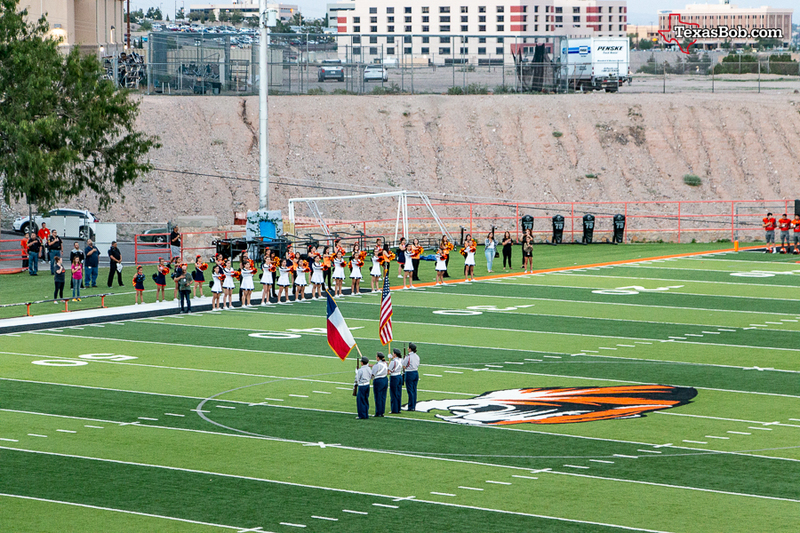 The stadium is the home field for El Paso (Texas) High School and the entire package was constructed at a cost of $500,000. The stadium is considered the birthplace of Texas Friday Night lights as R.R. Jones hosted the first ever Friday Night Football games in the state of Texas in 1928. This stadium was also the home to the first three Sun Bowls from 1935 to 1937. The stadium is named after Robert Randolph Jones, Mr. Jones was the first Assistant Principal here from 1916 to 1923 and then was Principal from 1936 to 1943. 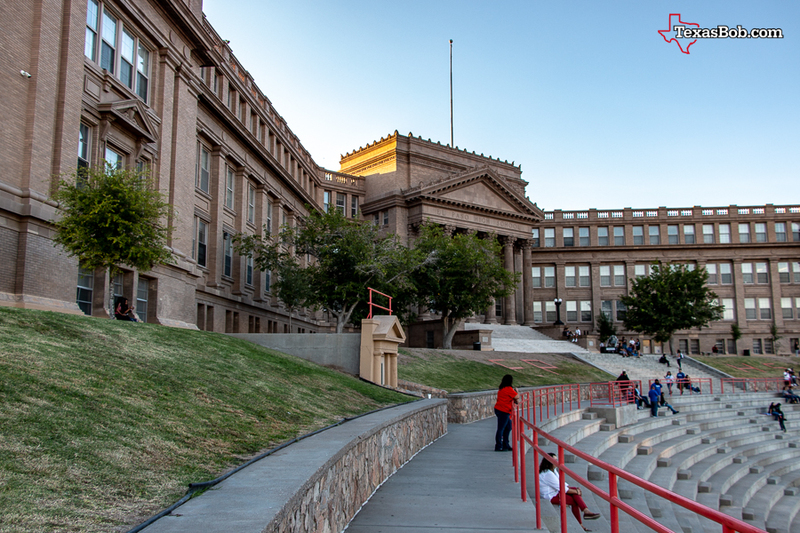 The school is nicknamed "The Lady on the Hill" because it sits on a mountainside at the foot of the Franklin Mountains. 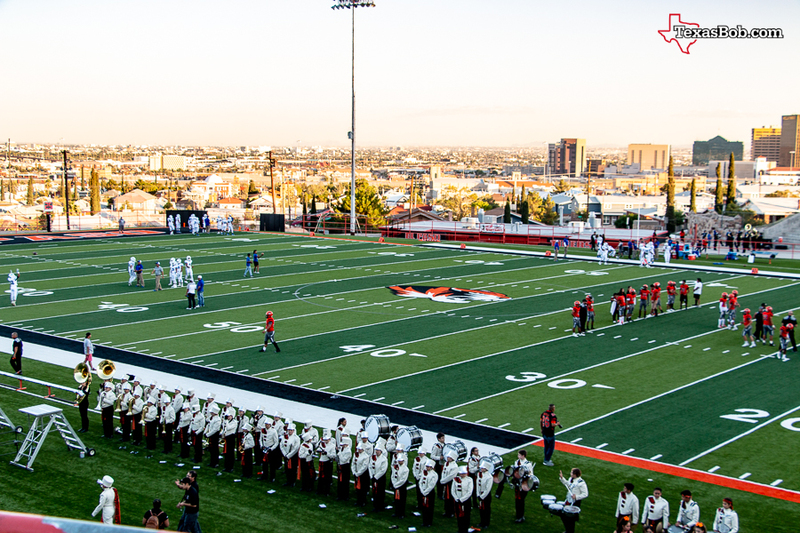 It overlooks central El Paso and its border with Ciudad Juarez, Mexico. The school wraps around the stadium and semicircular steps lead from the field directly to the main entrance of the school. Combined, they take up four city blocks. In 2010 R.R. Jones Stadium was named as "Best Resemblance to Ancient Rome" in an ESPN Rise Article. 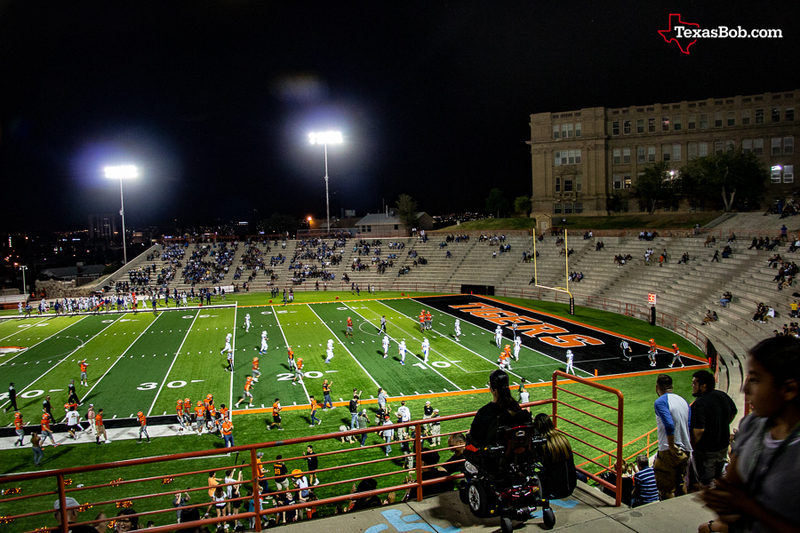 In August of 2012 it was voted as a top ten stadium in the country by Maxpreps.com, in 2015 it was voted as the top high school stadium in the state of Texas by the football website "The Old Coach. R.R. Jones Stadium was inducted into the Texas Stadium Hall of Fame by the website TexasBob.com in 2014.